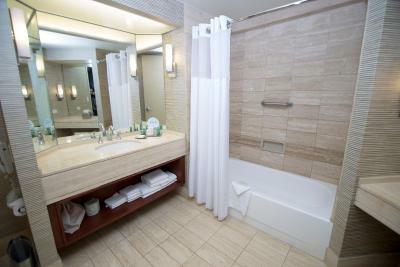 Lock in a great price for Hilton Los Angeles-Universal City – rated 8.5 by recent guests! Nice room! Great restaurants. Great fitness center! 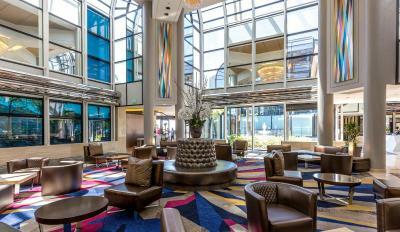 The lobby was lovely. The room clean and was a nice size. The beds were very comfortable and it was within walking distance from Universal Studios. The staff was so amazingly friendly. They allowed me to do an early “pre-check in” at 0900 when i arrived and only had one thing in mind...getting to universal studios for the day. The area. We went to Universal studios that's why I pick this place. 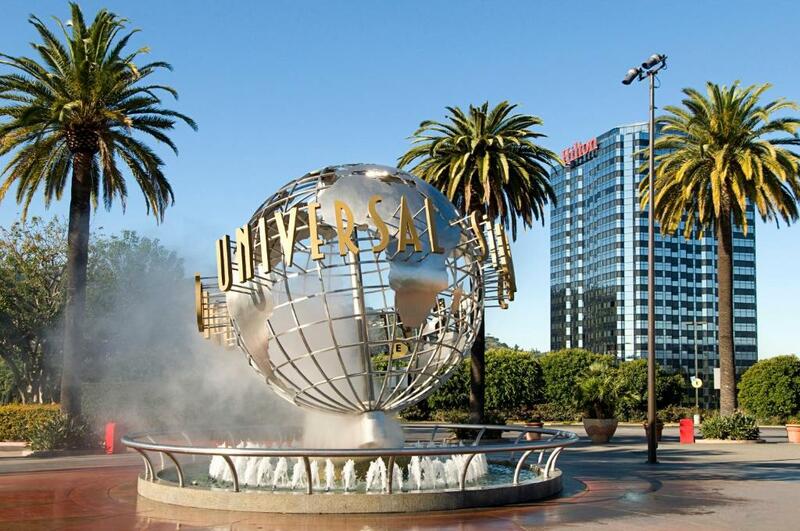 Easy access to Universal Studios Hollywood theme park and a short drive to the LA Zoo. Parking was easy and reasonable to allow walking to City Walk and the theme park. Perfect amount of space for a pregnant mama, her 16 month old, and her husband, and they seemed to be mindful we were traveling with a little one as the floor level was perfect. How close the hotel is to the park. 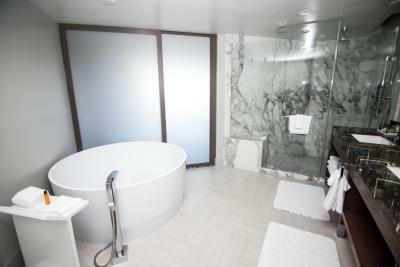 Also how clean the rooms were and the pool area. 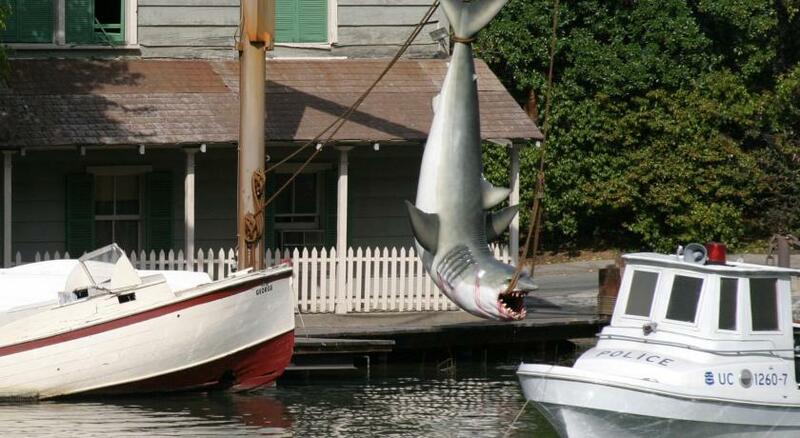 The location was the best you can get if you’re main goal is Universal Studios. The shuttle runs every 10 minutes all day and night. The staff is incredible. The property is immaculate. The pool is so fun, with good food, and excellent service and it’s open till midnight, so no matter what time you end your day you can unwind with the hot tub/pool. This hotel truly made our trip. I considered staying at a few other hotels that were a bit cheaper, but not knowing the area I opted for the large hotel name I knew. Seriously best decision I could have made....after seeing a few of the other hotels I was considering. We took a break everyday in the middle and went to the hotel for a swim and poolside lunch and a break from the crowd.....but most amazingly when we were ready was back at the park and back in the action in 10 minutes. We also loved how central it was to Griffith Park (we went horseback riding), And we spent the day at the Santa Monica Beach/pier. The property was beautiful. The area was clean and the staff were absolutely friendly. We really enjoyed our stay there. 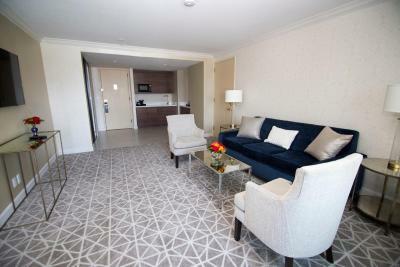 Hilton Los Angeles-Universal City This rating is a reflection of how the property compares to the industry standard when it comes to price, facilities and services available. It's based on a self-evaluation by the property. Use this rating to help choose your stay! 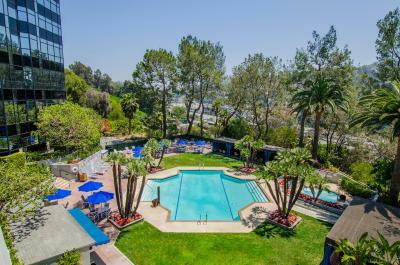 One of our top picks in Los Angeles.Located 5 minutes’ walk from the Universal Studios Hollywood entrance, this hotel offers a multi-lingual staff and contemporary rooms. Guests can unwind in the outdoor pool and hot tub. 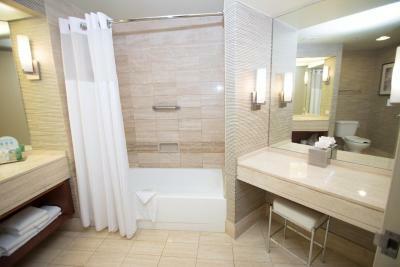 A cable TV and an iPod dock are standard in the spacious, pet-friendly rooms at Hilton Los Angeles-Universal City. Wide windows feature city or theme park views. 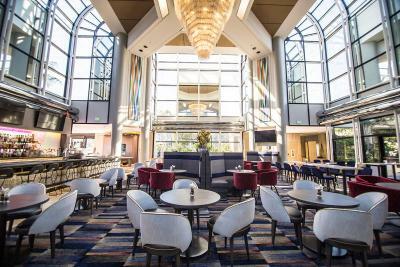 The Universal City Hilton offers Café Sierra, located in a glass-enclosed atrium. 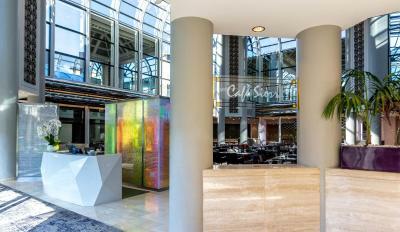 The café serves a full daily menu which offers California, Continental and Chinese cuisine in a modern, brightly lit setting. A 24-hour business center and a modern fitness center that is fully equipped with cardio and weight machines are available to guests. Tour and car hire services are also provided. 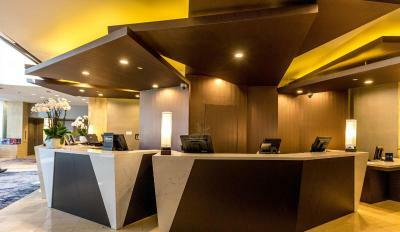 The hotel concierge can help guests with travel arrangements. Universal City Hilton Los Angeles is 2.5 mi from the Hollywood Bowl and 1.2 mi from Lakeside Golf Club. Downtown Los Angeles is just 30 minutes’ metro ride away. 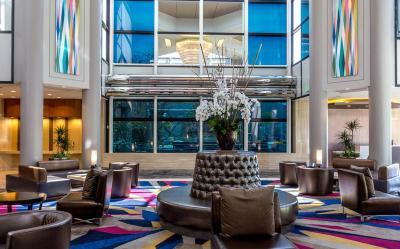 When would you like to stay at Hilton Los Angeles-Universal City? Boasting cable TV, this room is equipped with tea and coffee-making facilities and a fridge. 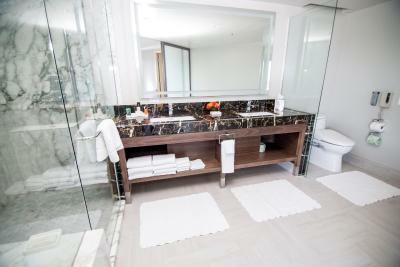 Located on the executive floor, this air-conditioned alcove room is equipped with a cable TV with pay-per-view channels, a work desk with an ergonomic chair, a compact fridge and tea and coffee-making facilities. 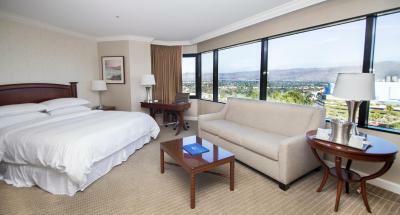 This room includes 2 adult daily executive breakfast at Cafe Sierra per day. 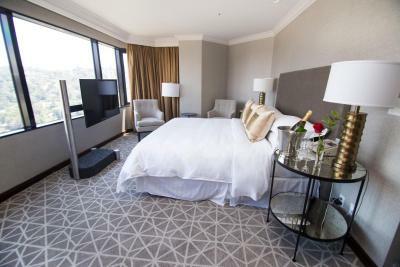 Located on the executive floor, this room is equipped with cable TV, a compact fridge and tea and coffee-making facilities. This room includes up to 4 adult executive breakfast at Cafe Sierra per day. 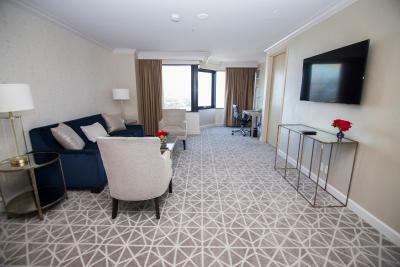 Located on the executive floor, this room is equipped with cable TV, a compact fridge and tea and coffee-making facilities. This room includes up to 4 adults executive breakfast at Cafe Sierra per day. 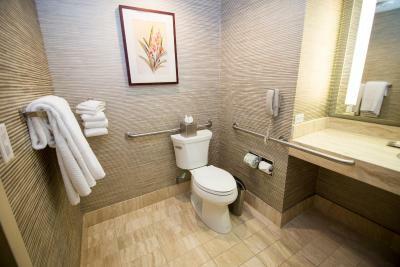 Boasting cable TV, this disability access room is equipped with tea and coffee-making facilities and a fridge. 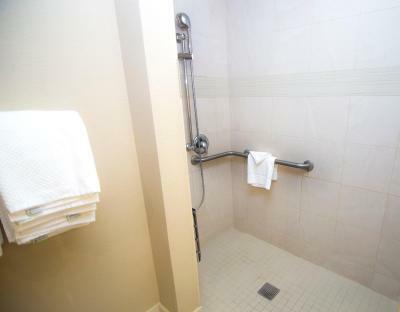 An accessible bathtub is also provided. 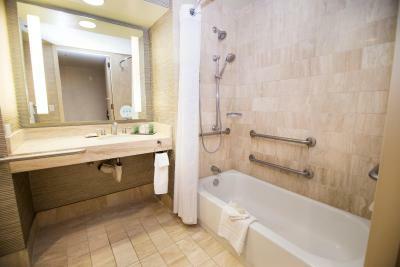 This room features cable TV and is equipped with tea and coffee-making facilities and a fridge. 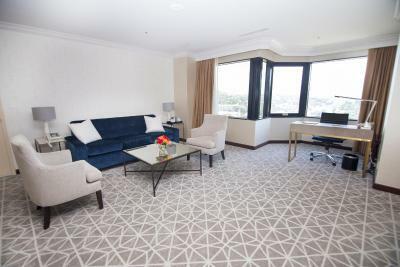 Located on the executive floor, this room is equipped with cable TV, a compact fridge and tea and coffee-making facilities. This room includes up to 2 adult executive breakfast at Cafe Sierra per day. 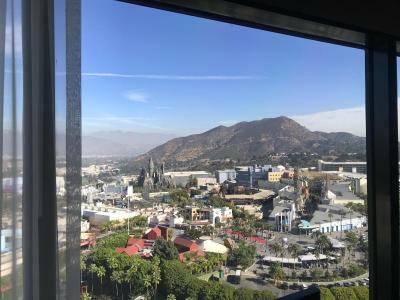 Hotel surroundings – This neighborhood is a great choice for travelers interested in Universal Studios, theme parks and Disneyland – Check location Excellent location – show map Guests loved walking around the neighborhood! 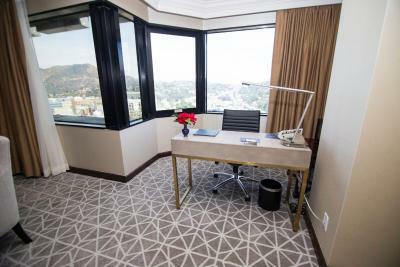 House Rules Hilton Los Angeles-Universal City takes special requests – add in the next step! Hilton Los Angeles-Universal City accepts these cards and reserves the right to temporarily hold an amount prior to arrival. Please note that WiFi prices vary based on type of connection. Please contact the property for more information. Please note that parking is subject to a 10% City Tax. 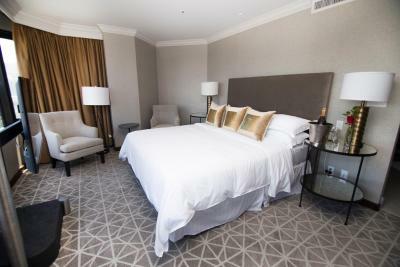 Extra beds can only be accommodated in the King Room. Please note: Self-parking height restriction of 6 feet. Over-sized vehicles will be accommodated in valet and valet rate will apply. They charge extortionate rates for breakfast, Wifi, and parking. Just a cup of tea was $7.